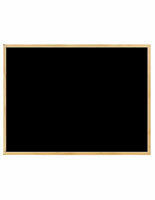 This Cork Board Is a Black Acrylic Chalkboard Framed in Oak Wood! 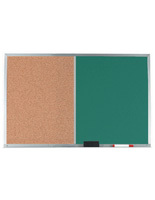 This Cork Board Is a Classroom or Company Wall Display You Can Buy Today! 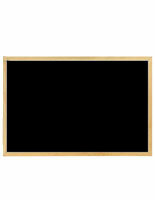 Black cork board with chalk is engineered for jump off the wall visibleness. 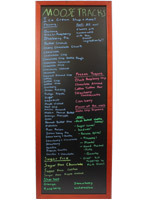 Dimensions are 24" wide x 18" high, and mounts to your wall with the provided mounting hardware. 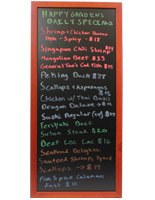 Comes ready to use with chalk and an eraser. 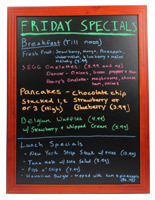 The writing surface is high quality, black acrylic that wipes maintain with the use of a damp cloth. 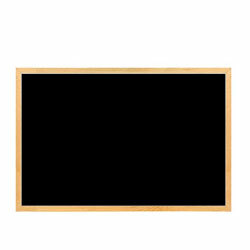 Light oak frame furnishes good looks and stability to this cork board. 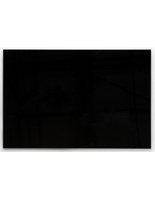 Exceedingly rugged unit engineered for many years of daily use.